AKIPRESS.COM - Four renewable energy power plants with a total of 120 megawatts (MW) will be put into operation in Mongolia's southeast province of Dornogovi within this year, Xinhua reported citing provincial governor's office. A solar power plant with capacity of 15 MW opened on Friday in Zamiin-Uud soum in Dornogovi province. Other two solar power plants with the capacity of producing 30 MW and 20 MW of electricity each will be put into operation by the end of this year in the province. A wind farm with a total capacity of 55 MW is planned to commission in late 2018 nearby Sainshand city, capital of the province. Mongolia, a landlocked country with a population of 3 million, enjoys more than 250 days of sunshine a year. The country's renewable energy capacity nearly doubled last year, reaching 155 MW, according to the Ministry of Energy. Mongolia's first large solar power plant, with a capacity of 10 MW, was installed in the country's northern province of Darkhan-Uul in January 2017. The country's second wind farm, the 50 MW Tsetsii Wind Farm, also opened in October that year. So far, Mongolia gets less than 5 percent of its power from renewable energy, including solar and wind. The government aims to make renewable energy use account for 20 percent by 2020 and 30 percent by 2030. 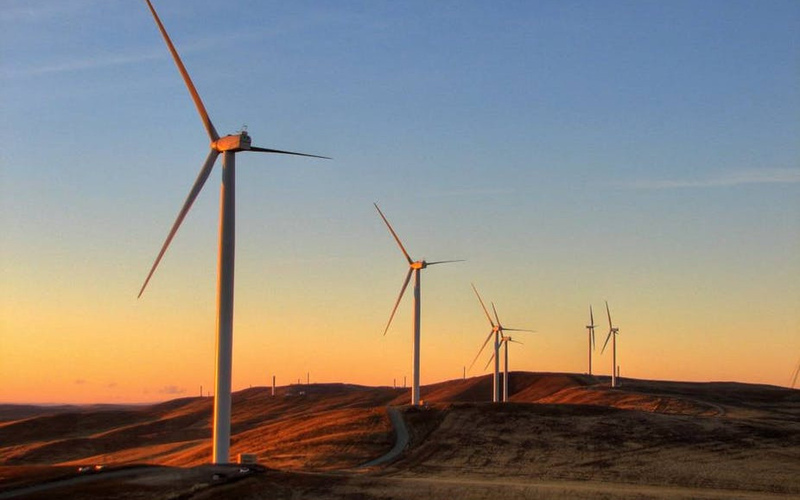 According to Mongolia's Ministry of Energy, the country has a potential wind capacity of 1,100 gigawatts.